Hi guys! Yay, it's Friday!! And if you live in the US, then you've got a long weekend coming up! Today I have the final polish that I picked up from the Definitely Not Cute collection from Digital Nails. Crotch Ice is inspired by the scene in the pilot episode of "Bee and Puppycat" when Bee accidentally opens her umbrella into Deckard's (her crush) manly bits. Who am I kidding? You need to see the entire bit to get the full effect! This is probably one of my favorite parts of the show, and this bit is my text tone on my phone. 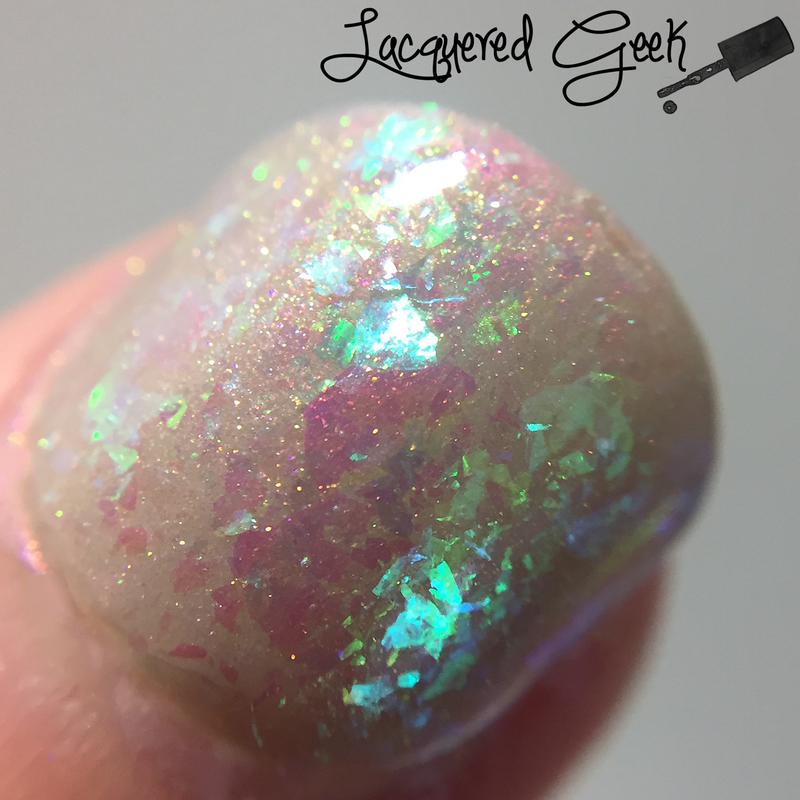 Crotch Ice is an absolutely stunning flakie topper. It is simply packed with blue to green shifting flakies with a healthy dose of shimmer! 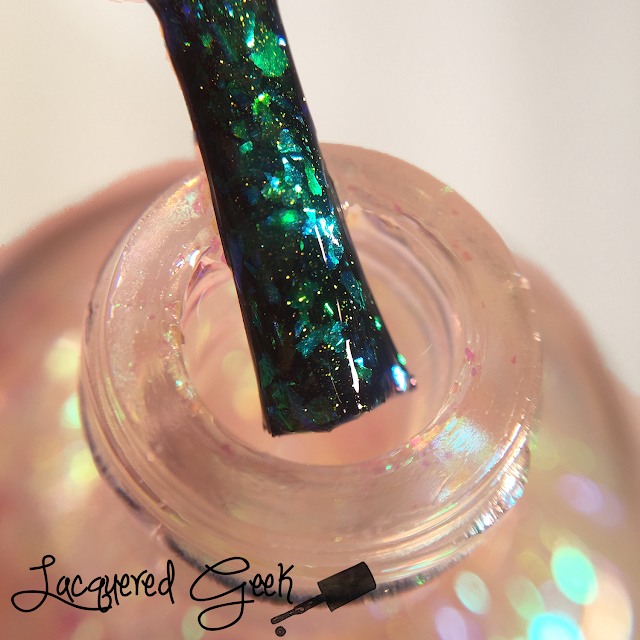 Most of the swatches that I saw prior to ordering showed the polish over a dark base, and it looks amazing that way, but I wanted to try something different. 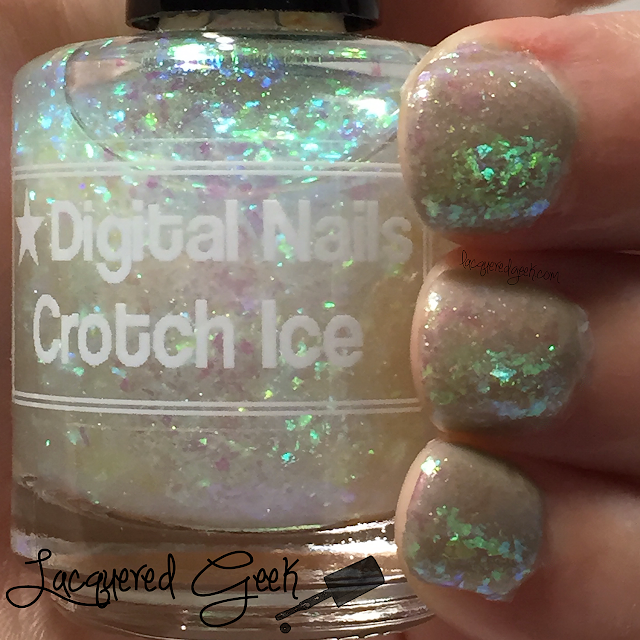 I used a lighter base (Opal Diamond from Azature), and used 2 coats of Crotch Ice and top coat for these photos. I am completely in love with this combination. I didn't want to take it off, and I've worn it this way twice already! This was my favorite polish of the collection, followed by "Use the Sword AS A SWORD." But honestly, this entire collection was a total win. 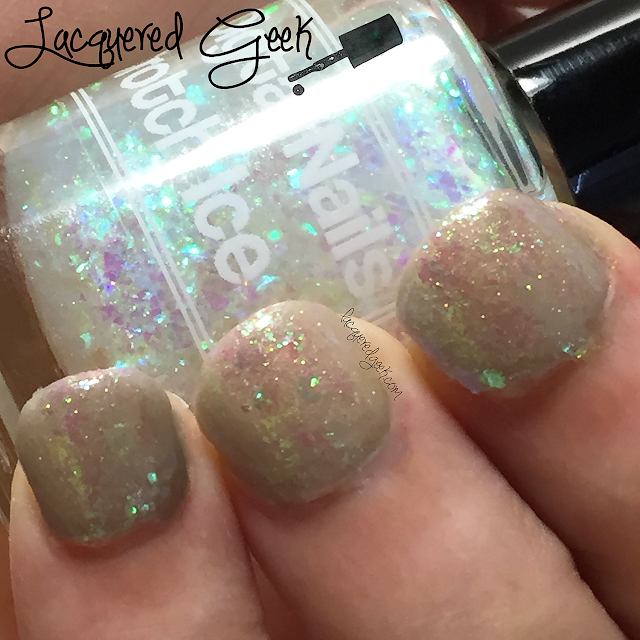 There are three polishes in the collection that I haven't yet picked up, but they are on my "need to buy" list. 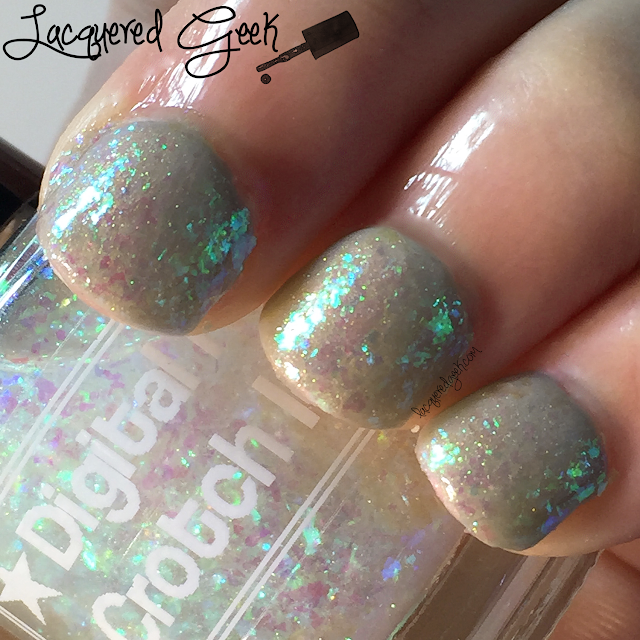 You can pick up any polish from the Definitely Not Cute collection from Digital Nails' shop. Do you have any plans for the holiday weekend? I'm taking advantage of a rare day off with my husband (I have normal weekends off work, but his "weekends" are Monday & Tuesday). We're going down to see his mom. Whatever your plans, stay safe! So pretty!! I'd love to see it matte-ified. I always loveeee flakie toppers! So pretty!